Stelling Stores was established in 1935 and provides a vast range of services not only to Stelling Minnis but to neighbouring communities. In addition to groceries and green groceries it also has an off licence, and a post office*. 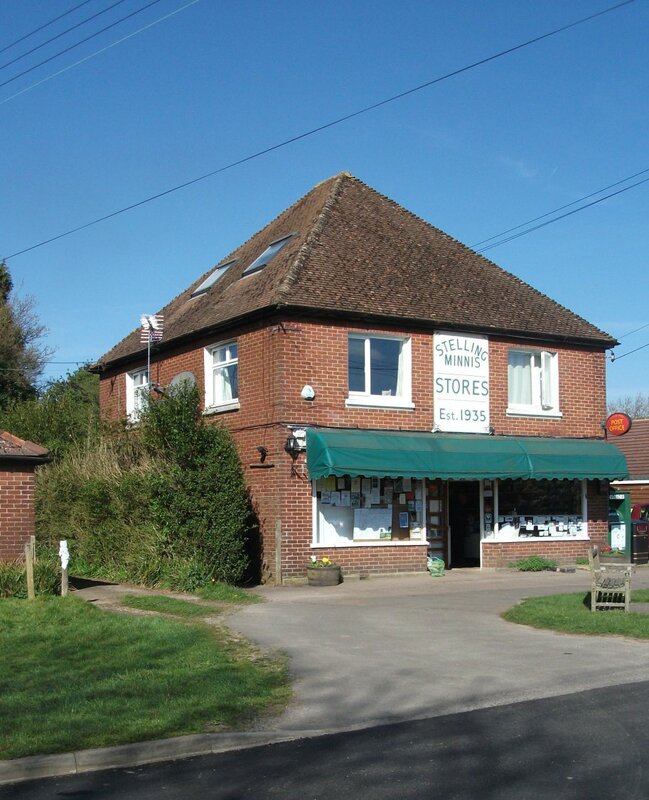 The shop is in Minnis Lane, Stelling Minnis, just a few minutes drive off the B2068 - Stone Street. Open 8am - 8pm Monday to Saturday; 10am - 1pm Sunday and Bank Holidays. Bruce and Emma Warden welcome you to their shop. 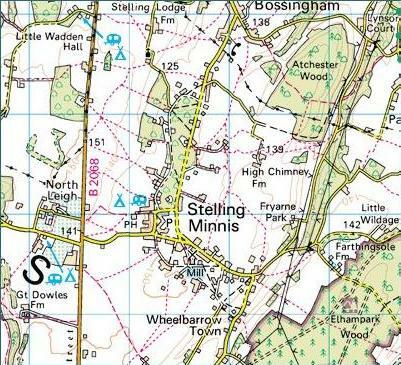 Image produced from the Ordnance Survey Get-a-map service. Image reproduced with kind permission of Ordnance Survey and Ordnance Survey of Northern Ireland. Tickets for Village People shows and other local events, when available. Directions to almost anywhere local. A smile with every purchase! If you are hesitant about shopping with us because we don’t stock you’re favourite brand, please ask as we do often get specials in for regular customers. We look forward to seeing you soon. * Post Office is open Monday, Wednesday and Thursday only (9am - 1pm; 2pm - 5.30pm). Post box opposite the stores, last collection 5pm Monday to Friday and 9am Saturday. No liability accepted for information provided by third parties. Whilst every effort is made to ensure that this web site is virus free, no liability is accepted for any damage, howsoever caused, to any computer or information stored on it arising from use of or visiting this web site or any links from it to other sites. Web site designed and built for Stelling Stores by Nick Smith.